Need Commercial Equipment Moved? Trust Can Ridge Industrial Moving! When you need a large piece of machinery or equipment moved such as a CNC machine, you want to ensure that you put your faith in a team that has a track record of moving and installing your sensitive machinery without compromising the safety of the assets! At Can Ridge Industries we handle it all from logistics, crane services, equipment transportation, and finally installation of equipment at the new facility. 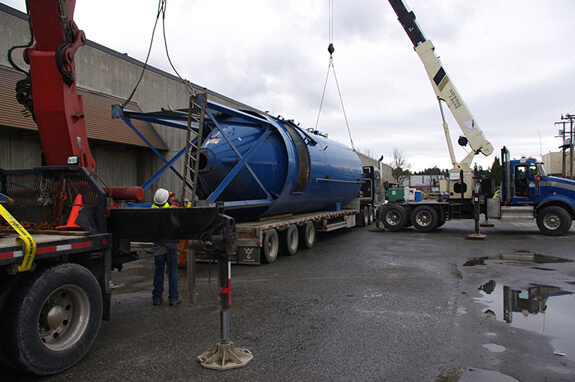 The Can Ridge Industrial Moving team has been successfully orchestrating the movement of large machinery and equipment all across British Columbia for years, we are the team you can depend on to meet the needs of any project in the area.